This is our 70th and final message in a 19th month sermon series! Let us enjoy the entire book of Ephesians in one sitting and hear what the people would have heard when they listened to it being read each week in their house churches. 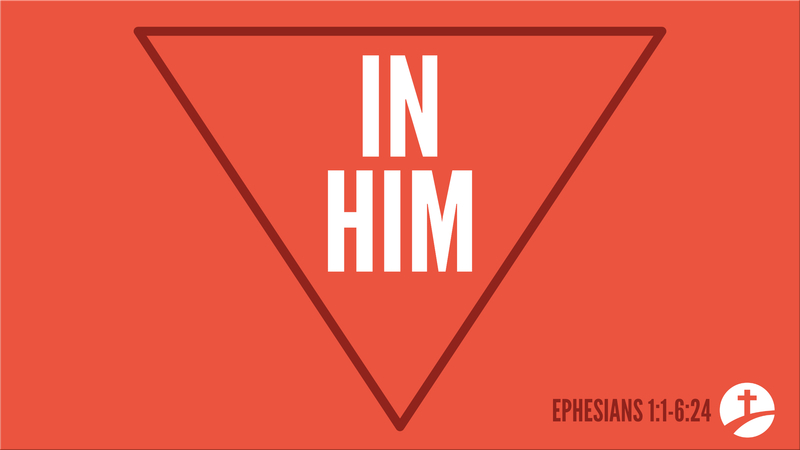 Notice how many times the concept of “In Him” is mentioned (27x), along with the 9 references to the Trinity (Matthew 28:19). 1 Paul, an apostle of Christ Jesus by the will of God, To God’s holy people in Ephesus, the faithful in Christ Jesus: 2 Grace and peace to you from God our Father and the Lord Jesus Christ. Paul the apostle is writing to the saints (holy people) in the city of Ephesus because he is in jail for the gospel. Grace and peace from God the Father and the Lord Jesus Christ mark the Christian’s lives. 3 Praise be to the God and Father of our Lord Jesus Christ, who has blessed us in the heavenly realms with every spiritual blessing in Christ. 4 For he chose us in him before the creation of the world to be holy and blameless in his sight. In love 5 he predestined us for adoption to sonship through Jesus Christ, in accordance with his pleasure and will— 6 to the praise of his glorious grace, which he has freely given us in the One he loves. 7 In him we have redemption through his blood, the forgiveness of sins, in accordance with the riches of God’s grace 8 that he lavished on us. With all wisdom and understanding, 9 he made known to us the mystery of his will according to his good pleasure, which he purposed in Christ, 10 to be put into effect when the times reach their fulfillment—to bring unity to all things in heaven and on earth under Christ. 11 In him we were also chosen, having been predestined according to the plan of him who works out everything in conformity with the purpose of his will, 12 in order that we, who were the first to put our hope in Christ, might be for the praise of his glory. 13 And you also were included in Christ when you heard the message of truth, the gospel of your salvation. When you believed, you were marked in him [the Son] with a seal, the promised Holy Spirit, 14 who is a deposit guaranteeing our inheritance until the redemption of those who are God’s [the Father] possession—to the praise of his glory. The Christian is blessed with every spiritual blessing in Christ- adopted, forgiven, lavished with wisdom and sealed with the Holy Spirit. The plan of salvation was made before the world was created and all we had to do was believe to receive it and now remain in faith so we can receive our inheritance (the redemption of our bodies). 15 For this reason, ever since I heard about your faith in the Lord Jesus and your love for all God’s people, 16 I have not stopped giving thanks for you, remembering you in my prayers. 17 I keep asking that the God of our Lord Jesus Christ, the glorious Father, may give you the Spirit of wisdom and revelation, so that you may know him better. 18 I pray that the eyes of your heart may be enlightened in order that you may know the hope to which he has called you, the riches of his glorious inheritance in his holy people, 19 and his incomparably great power for us who believe. That power is the same as the mighty strength 20 he exerted when he raised Christ from the dead and seated him at his right hand in the heavenly realms, 21 far above all rule and authority, power and dominion, and every name that is invoked, not only in the present age but also in the one to come. 22 And God placed all things under his feet and appointed him to be head over everything for the church, 23 which is his body, the fullness of him who fills everything in every way. Paul’s prayer is for the Holy Spirit to give us more wisdom and revelation so we can know Jesus better. Knowing Jesus better will result in knowing His hope, riches and power. 2:1 As for you, you were dead in your transgressions and sins, 2 in which you used to live when you followed the ways of this world and of the ruler of the kingdom of the air, the spirit who is now at work in those who are disobedient. 3 All of us also lived among them at one time, gratifying the cravings of our flesh and following its desires and thoughts. Like the rest, we were by nature deserving of wrath. 4 But because of his great love for us, God, who is rich in mercy, 5 made us alive with Christ even when we were dead in transgressions—it is by grace you have been saved. 6 And God raised us up with Christ and seated us with him in the heavenly realms in Christ Jesus, 7 in order that in the coming ages he might show the incomparable riches of his grace, expressed in his kindness to us in Christ Jesus. 8 For it is by grace you have been saved, through faith—and this is not from yourselves, it is the gift of God— 9 not by works, so that no one can boast. 10 For we are God’s handiwork, created in Christ Jesus to do good works, which God prepared in advance for us to do. Though we were born sinners and chose to live as sinners, Jesus died for us. Now we can be saved by God’s grace, through faith and be made God’s handiwork, created to do good works. 11 Therefore, remember that formerly you who are Gentiles by birth and called “uncircumcised” by those who call themselves “the circumcision” (which is done in the body by human hands)— 12 remember that at that time you were separate from Christ, excluded from citizenship in Israel and foreigners to the covenants of the promise, without hope and without God in the world. 13 But now in Christ Jesus you who once were far away have been brought near by the blood of Christ. 14 For he himself is our peace, who has made the two groups one and has destroyed the barrier, the dividing wall of hostility, 15 by setting aside in his flesh the law with its commands and regulations. His purpose was to create in himself one new humanity out of the two, thus making peace, 16 and in one body to reconcile both of them to God through the cross, by which he put to death their hostility. 17 He came and preached peace to you who were far away and peace to those who were near. 18 For through him [the Son] we both have access to the Father by one Spirit. 19 Consequently, you are no longer foreigners and strangers, but fellow citizens with God’s people and also members of his household, 20 built on the foundation of the apostles and prophets, with Christ Jesus himself as the chief cornerstone. 21 In him the whole building is joined together and rises to become a holy temple in the Lord. 22 And in him [the Son] you too are being built together to become a dwelling in which God [the Father] lives by his Spirit. When Jesus died on the cross He destroyed the barrier of the Law and made both Jews and non-Jews one new humanity (Christians). Therefore, Jews and non-Jews in Christ are together God’s temple where he lives by the Holy Spirit- built on the foundation of the apostles and prophets with Jesus being the Chief Cornerstone. 3:1 For this reason I, Paul, the prisoner of Christ Jesus for the sake of you Gentiles— 2 Surely you have heard about the administration of God’s grace that was given to me for you, 3 that is, the mystery made known to me by revelation, as I have already written briefly. 4 In reading this, then, you will be able to understand my insight into the mystery of Christ, 5 which was not made known to people in other generations as it has now been revealed by the Spirit to God’s [the Father] holy apostles and prophets. 6 This mystery is that through the gospel the Gentiles are heirs together with Israel, members together of one body, and sharers together in the promise in Christ Jesus. 7 I became a servant of this gospel by the gift of God’s grace given me through the working of his power. 8 Although I am less than the least of all the Lord’s people, this grace was given me: to preach to the Gentiles the boundless riches of Christ, 9 and to make plain to everyone the administration of this mystery, which for ages past was kept hidden in God, who created all things. 10 His intent was that now, through the church, the manifold wisdom of God should be made known to the rulers and authorities in the heavenly realms, 11 according to his eternal purpose that he accomplished in Christ Jesus our Lord. 12 In him and through faith in him we may approach God with freedom and confidence. 13 I ask you, therefore, not to be discouraged because of my sufferings for you, which are your glory. Paul was given special insight into understanding how God used Jesus to bring together both the Jew and non-Jew into the Body of Christ. Though the mystery of a new humanity was hidden in the words of the prophets from the Old Testament, now everyone can know them and in faith approach the God of Israel. 14 For this reason I kneel before the Father, 15 from whom every family in heaven and on earth derives its name. 16 I pray that out of his glorious riches he may strengthen you with power through his Spirit in your inner being, 17 so that Christ may dwell in your hearts through faith. And I pray that you, being rooted and established in love, 18 may have power, together with all the Lord’s holy people, to grasp how wide and long and high and deep is the love of Christ, 19 and to know this love that surpasses knowledge—that you may be filled to the measure of all the fullness of God. Paul now prays for God’s people to have Christ dwell in their hearts through faith and experience the boundless love of God and to be filled with the fulness of His presence by the Holy Spirit. Paul declares that God can do more than we can ask or imagine in our relationship with Jesus. 4:1 As a prisoner for the Lord, then, I urge you to live a life worthy of the calling you have received. 2 Be completely humble and gentle; be patient, bearing with one another in love. 3 Make every effort to keep the unity of the Spirit through the bond of peace. 4 There is one body and one Spirit, just as you were called to one hope when you were called; 5 one Lord [the Son], one faith, one baptism; 6 one God and Father of all, who is over all and through all and in all. 11 So Christ himself gave the apostles, the prophets, the evangelists, the pastors and teachers, 12 to equip his people for works of service, so that the body of Christ may be built up 13 until we all reach unity in the faith and in the knowledge of the Son of God and become mature, attaining to the whole measure of the fullness of Christ. 14 Then we will no longer be infants, tossed back and forth by the waves, and blown here and there by every wind of teaching and by the cunning and craftiness of people in their deceitful scheming. 15 Instead, speaking the truth in love, we will grow to become in every respect the mature body of him who is the head, that is, Christ. 16 From him the whole body, joined and held together by every supporting ligament, grows and builds itself up in love, as each part does its work. Paul gives the Trinitarian creed for the church and explains how the descension and accession of Jesus Christ enabled the Holy Spirit to give the five-fold ministry to the church. The job of the apostles, prophets, evangelists, pastors and teachers is to equip the church for works of service so the Body of Christ will be built up into the fulness of Jesus. 29 Do not let any unwholesome talk come out of your mouths, but only what is helpful for building others up according to their needs, that it may benefit those who listen. 30 And do not grieve the Holy Spirit of God, with whom you were sealed for the day of redemption. 31 Get rid of all bitterness, rage and anger, brawling and slander, along with every form of malice. 32 Be kind and compassionate to one another, forgiving each other, just as in Christ God forgave you. 5:1 Follow God’s example, therefore, as dearly loved children 2 and walk in the way of love, just as Christ loved us and gave himself up for us as a fragrant offering and sacrifice to God. 3 But among you there must not be even a hint of sexual immorality, or of any kind of impurity, or of greed, because these are improper for God’s holy people. 4 Nor should there be obscenity, foolish talk or coarse joking, which are out of place, but rather thanksgiving. 5 For of this you can be sure: No immoral, impure or greedy person—such a person is an idolater—has any inheritance in the kingdom of Christ and of God. 6 Let no one deceive you with empty words, for because of such things God’s wrath comes on those who are disobedient. 7 Therefore do not be partners with them. 15 Be very careful, then, how you live—not as unwise but as wise, 16 making the most of every opportunity, because the days are evil. 17 Therefore do not be foolish, but understand what the Lord’s will is. 18 Do not get drunk on wine, which leads to debauchery. 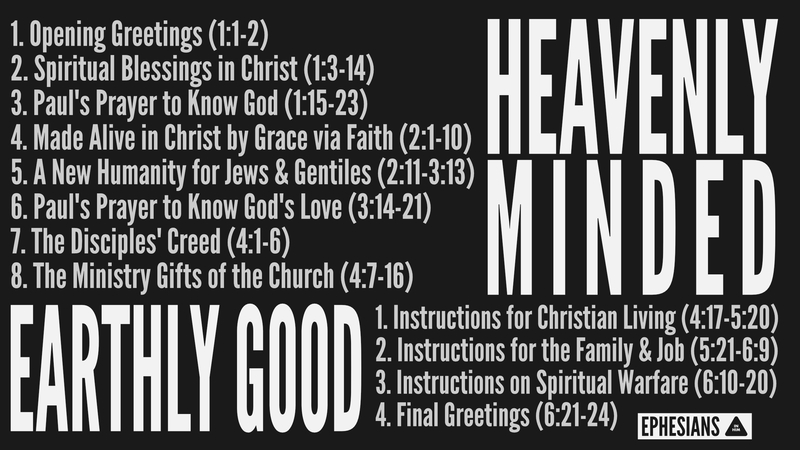 Instead, be filled with the Spirit, 19 speaking to one another with psalms, hymns, and songs from the Spirit. Sing and make music from your heart to the Lord, 20 always giving thanks to God the Father for everything, in the name of our Lord Jesus Christ. When Christians take off the old and put on the new we are made to be like God in true righteousness and holiness. The Christian life is a holy life free from sexual sin, bitterness, foolish talk, idolatry, rage, greed, drunkenness and evil- but it is filled with the Holy Spirit and thanksgiving to God! 21 Submit to one another out of reverence for Christ. 22 Wives, submit yourselves to your own husbands as you do to the Lord. 23 For the husband is the head of the wife as Christ is the head of the church, his body, of which he is the Savior. 24 Now as the church submits to Christ, so also wives should submit to their husbands in everything. 6:1 Children, obey your parents in the Lord, for this is right. 2 “Honor your father and mother”—which is the first commandment with a promise— 3 “so that it may go well with you and that you may enjoy long life on the earth.” 4 Fathers, do not exasperate your children; instead, bring them up in the training and instruction of the Lord. 5 Slaves, obey your earthly masters with respect and fear, and with sincerity of heart, just as you would obey Christ. 6 Obey them not only to win their favor when their eye is on you, but as slaves of Christ, doing the will of God from your heart. 7 Serve wholeheartedly, as if you were serving the Lord, not people, 8 because you know that the Lord will reward each one for whatever good they do, whether they are slave or free. 9 And masters, treat your slaves in the same way. Do not threaten them, since you know that he who is both their Master and yours is in heaven, and there is no favoritism with him. Everyone must live in humility before God in the family; wives submit to your husbands as you do to Jesus, husbands love your wives as Jesus loves the church, children obey your parents and fathers don’t frustrate your children. Bosses and employees should serve each other in humility because all Christians are slaves of Christ and will be judged without favoritism. 10 Finally, be strong in the Lord [the Son] and in his mighty power. 11 Put on the full armor of God [the Father], so that you can take your stand against the devil’s schemes. 12 For our struggle is not against flesh and blood, but against the rulers, against the authorities, against the powers of this dark world and against the spiritual forces of evil in the heavenly realms. 13 Therefore put on the full armor of God, so that when the day of evil comes, you may be able to stand your ground, and after you have done everything, to stand. 14 Stand firm then, with the belt of truth buckled around your waist, with the breastplate of righteousness in place, 15 and with your feet fitted with the readiness that comes from the gospel of peace. 16 In addition to all this, take up the shield of faith, with which you can extinguish all the flaming arrows of the evil one. 17 Take the helmet of salvation and the sword of the Spirit, which is the word of God. Be strong in the Lord and put on the full armor of God so you can stand your ground against the attacks of the devil. Put on the belt of truth, the breastplate of righteousness, the gospel of peace shoes, the shield of faith, the helmet of salvation and the sword of the Spirit. Pray on all occasions with all kinds of prayers so you and your leaders can boldly preach the gospel. 21 Tychicus, the dear brother and faithful servant in the Lord, will tell you everything, so that you also may know how I am and what I am doing. 22 I am sending him to you for this very purpose, that you may know how we are, and that he may encourage you. 23 Peace to the brothers and sisters, and love with faith from God the Father and the Lord Jesus Christ. 24 Grace to all who love our Lord Jesus Christ with an undying love. Tychicus was a faithful servant of the Lord who brought the letter from Paul to the Ephesians, along with updates and encouragement. May we always have the grace to love the Lord Jesus Christ with an undying love. God the Father sent Jesus to die on the cross for the world’s sins so that both Jews and non-Jews could be in an intimate faith-based relationship with the Holy Spirit as one new humanity that lives out the good works of God in divinity. 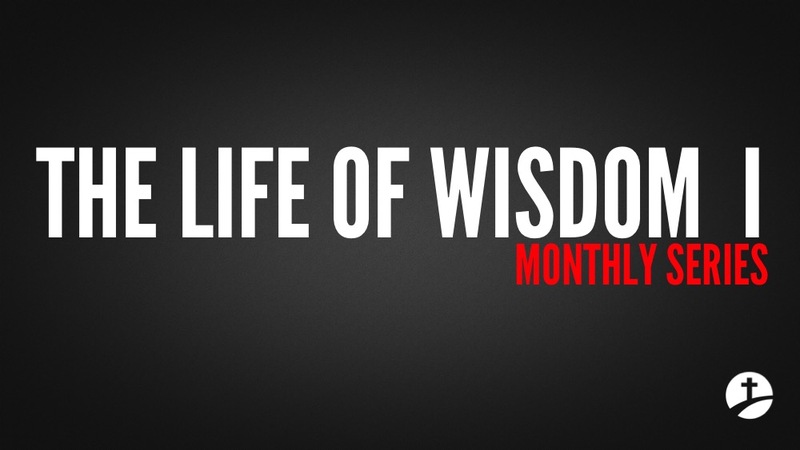 Next post August 13 | How Do I Move Past My Past? Previous Article August 12 | What Kind of Person Does God Want Me to Be? For ages 18yrs old and older- childcare is available. 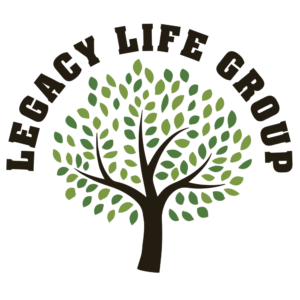 Stay up to date with us on our Facebook page. 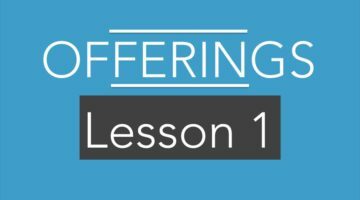 Lesson 1: Offerings Come After the Tithe.